Everything You Need to Know about Sunday’s Nicollet Open Streets Event! Nicollet Open Streets will roll down Nicollet Avenue on Sunday September 20th. The event will run from Lake Street to 46th Street and go from 11 AM- 5 PM! Below are some highlights and here’s the link with even more info to our Facebook Event. If you are looking for something specific, we’ve got this handy dandy Google Map. Remember there are no cars allowed, but you can drive to the event and park in Kmart’s parking lot at Lake Street, or download a free pass from Metro Transit to enjoy Nicollet Avenue by foot or bike on Sunday! Live, local music will be rocking down the street all day thanks to our Music Sponsors: Five Watt Coffee (hosted next door at Nighthawks! ), Butter Bakery Cafe, Roadrunner Records, and the Driftwood Char Bar! We’ve also got Karaoke from Nicollet Market Garden and a DJ at Hola. And with the music flows the delicious food of South Nicollet…Pat’s Tap, Hola, Nighthawks, Valerie’s, The Lowbrow, Revival, Corner Table (can you say pig-roast? ), Kyatchi, Finer Meats spankin’ new food truck, and Blackbird…just to name a few. We’re also unveiling our newest Nicollet soon-to-be hotspot, Ramen Kazama! Don’t forget tasty treats from Butter, Sonny’s, Cinco De Mayo, or our own Sebastian Joe’s scooped up at Bull Run! 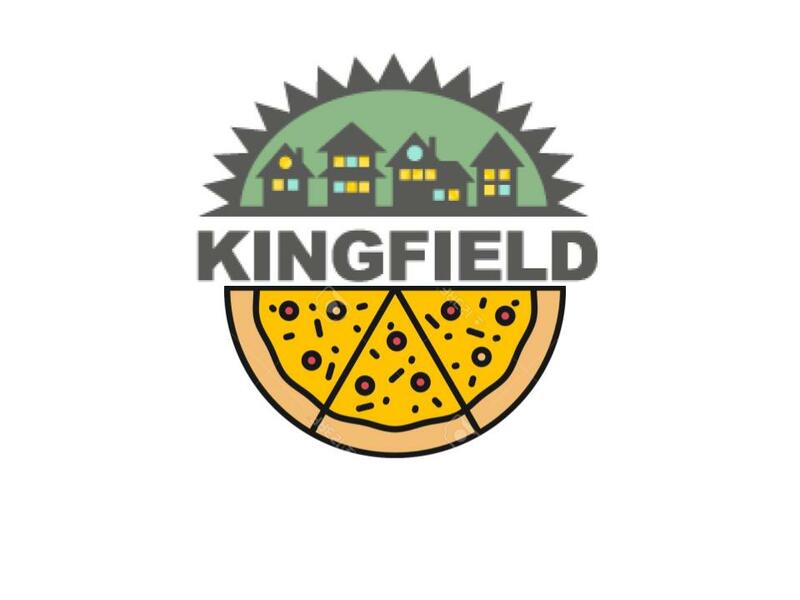 The Kingfield Farmers’ Market is in full swing with food trucks and produce vendors staying all day, as well as hands-on activities like veggie-tasting, bike decorating, and bike tune-ups. Crazy stuff is happening all over with Nicollet Ace Hardware filling the avenue with animals! Activities will include pony rides, a petting zoo, horseback riding, chickens and even the “chicken-guy”. Up and down the avenue you will also find a big bouncy pirate ship for kids, Mobile Poetry, Lego building, and an MG Car Museum; be sure to watch out for roving fire breathers, a wandering flash mob, and a Chinese Lion Dance! Want to see something really special stop by the Lyndale Community Center (35th & Nicollet) at 12:30, 1:30, and 2:30 for special dance performances we have something different each hour. We’ve also got a raffle where you can win great stuff from all of the fantastic businesses along Nicollet and help us pay for the event! Learn more about the MPD by visiting the 5th Precinct to play a little soccer and to meet the SWAT team, mounted patrol, and Crime Prevention Specialists. Health and wellness offerings will abound at Nicollet Open Streets! Stop by and meet Wellness Minneapolis practitioners, and relax with a complimentary mini acupuncture treatment or chair massage. You can meet Isuroon.org who advocates empowerment, education, equal opportunity and healthcare for Somali Women living outside of Somalia and even get free, rapid HIV testing from The Aliveness Project. The Southwest Senior Center will provide balance tests and healthy eating info for seniors, Yoga Sanctuary will offer child and youth yoga, and the Blaisdell YMCA and Four Gates Physical and Energetic Culture will bring out their arsenal of fitness toys. Even hair salons and tattoo parlors like Pompadour: A lifestyle salon, BANGbang salon & creative space, and the 4Points Body Gallery are offering free comb-outs, braiding, and up-do’s, or henna and temporary tattoos. There is a lot happening in our local green space, Rev. Dr. Martin Luther King, Jr. Park. There will be mini-courts and KidSpeed stations by one of our event Street Sponsors, InnerCity Tennis plus park-led activities including: archery, bike decorating, environmental exhibits, and yard games. There also will be a plethora of movement specialists from the Center for Performing Arts all day long on the grassy lawn just north of the building. Want to help out! Want to get a fancy new T-Shirt?! We’re still looking for volunteers. Shifts are two hours long and come with a Nicollet Open Streets T-Shirt. Sign up here. We’re also looking for people to help clean up our neighborhoods. Join us for a special litter outta Lyndale and Kingfield on Saturday, September 19th from 10 am to 1 pm. Stop by the Lyndale Community Center (3537 Nicollet Ave) to pick up your gloves, bags, and route. Nicollet Open Streets is organized by the Lyndale and Kingfield Neighborhood Associations in partnership with the Minneapolis Bicycle Coalition. Questions can be directed to Sarah Linnes-Robinson, Kingfield Executive Director @ sarah@kingfield.org or Mark Hinds, LNA Executive Director at mark@lyndale.org.